Rimsky-Korsakov had a private student who would change the course of twentieth century musicIgor Stravinsky. Stravinsky recovered the old to invent the new, going all the way back to pre-Christian rites of spring for his great work of 1913 which infused modern dance with Russian exuberance. 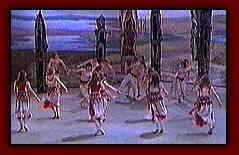 See Film footage of The Rite of Spring.